Adorable Ranch on .5 acres. 3 Bed home with full unfinished basement situated in the quiet town of Lamar. Home has Open kitchen and dining room, new roof, updated kitchen and bath, wood burning fireplace, wood floors, one car garage, back patio, oversized back and front yards. Kitchen has massive island with storage and tons of cabinets. Lots of natural light throughout the home. 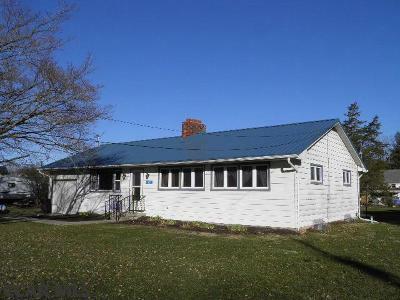 Property has .5+ acres and is 30 minutes to State College and 10 minutes to Lock Haven. Easy access to I80. If using GPS please put in Mill Hall as the city or it won't come up. Chicken coop is included in the sale. Seller is willing to leave chickens if someone wants them. Chickens are producing enough eggs to share with neighbors. Short walk to park or Sunset Ice cream shop!